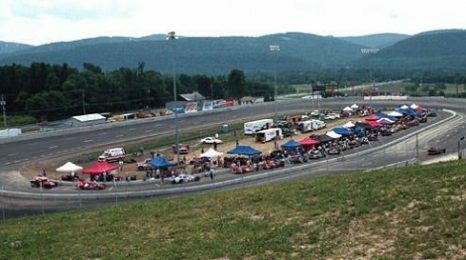 CHURCHVILLE, N.Y. – A busy weekend of racing filled my schedule this past weekend, including visiting the Chemung Speedrome, Wyoming County International Speedway and the Avon Kart Speedway. The racing was side by side and fast, but also somewhat confusing at times. Friday night at Chemung, the NYS Super Stocks made their first visit of 2016 and put on a great show, but at times the racing was taken out of the hands of the competitors and placed in the hands of the series’ Race Director. About halfway through the feature, Bill Frisbee Jr., Mitchell Wright and Frank Chapman went three-wide down the back stretch and into turn three. It didn’t work and all three were sent to the rear after Frisbee Jr. got turned around. During the caution the race director asked the voice on the one-way (Raceceiver) to tell the drivers that three-wide racing will not be tolerated, so don’t think of doing it, and that this was their warning. What did I just hear? Why is three wide racing not being allowed? Isn’t our sport about putting on a good show for the fans? Isn’t it a driver’s decision to go three wide, as it’s his money that’s going to have to be spent to repair the car? Maybe it’s a rule that is in the rule book, and not knowing for sure I asked driver Frisbee about three-wide racing within the series. At the end of the evening I ran into the track’s race director and all he could tell me was he was, he was just relaying the messages he was given and that he too was confused and had never heard of such a thing. There was even more action in the Sunoco Modified feature, which would turn out to have a first-time winner visit Victory Lane. During the feature, T.J. and Jimmy Zacharias were banging on each other, which slowed them up and caused the two to finish second and third instead of one and two. T.J. wasn’t happy with that outcome, so he approached his brother at the scales.